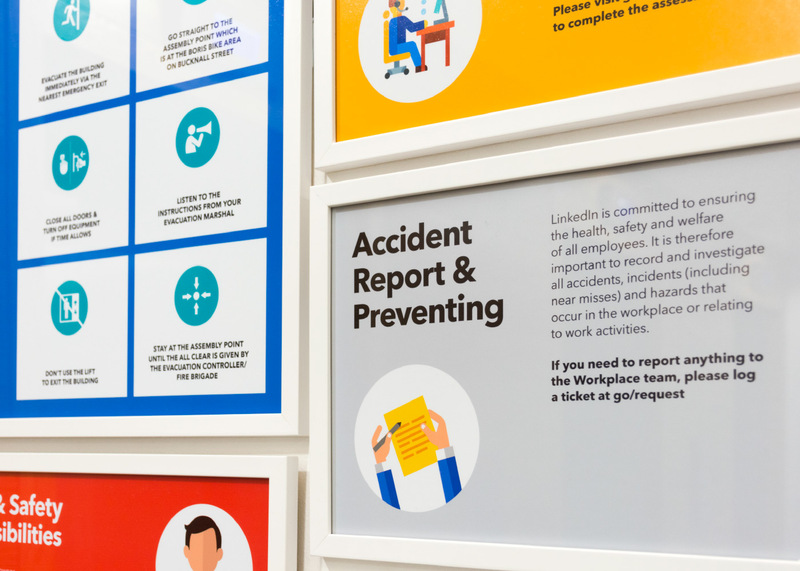 We were asked by LinkedIn to explore ways to show their health and safety information in the London and European head offices. 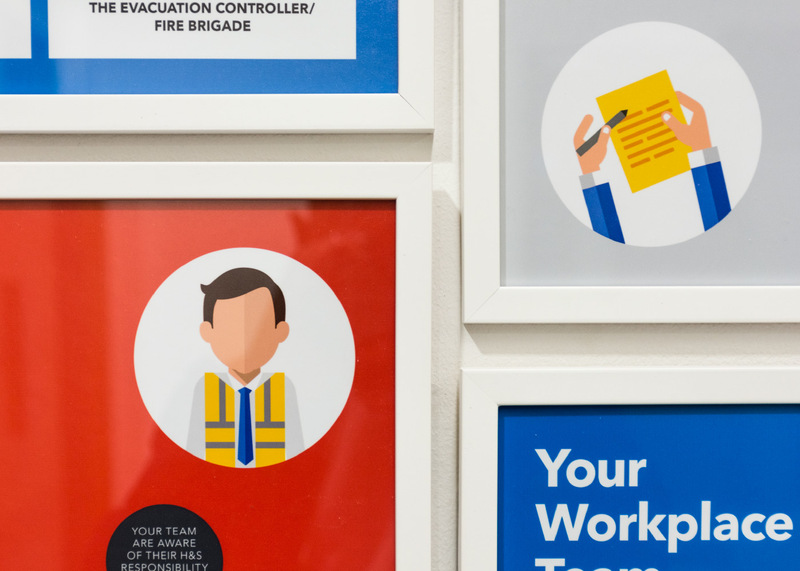 We arranged the information across various sections and created iconography to support the messages. 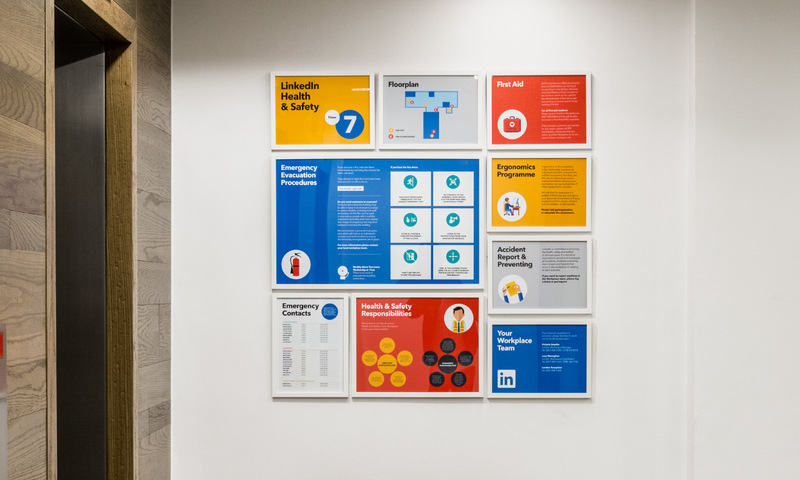 We also produced custom frames and arranged everything from build to installation.